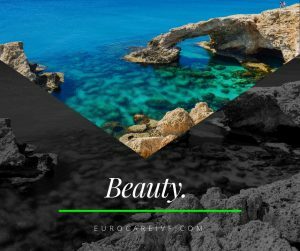 Cyprus is a modern island nation that exemplifies an essentially Mediterranean character. North Cyprus has managed to remain immune to the fast changing pace most of the world has seemed to adopt. Here you will not find the ‘usual’ shops or fast food restaurants that seem to have popped up on every street corner in other parts of the world. Here in North Cyprus, time has stood still — in a good way of course. Discover a calm island Mediterranean paradise with undisturbed landscapes, villages, and beaches. Life here is at a more relaxed pace which is ideal when you wish to get away from a busy, work filled, traffic jammed way of life — even for just a short time. What to expect in Northern Cyprus? This is another reason why North Cyprus is the top destination for IVF treatment. 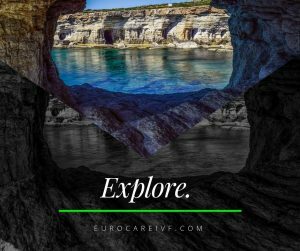 When you are not at the euroCARE IVF clinic — you are free to explore, relax, read, swim, cycle, hike, sunbathe, or whatever you wish. This relaxed destination help alleviate pressure and makes the cycle less stressful when you are not going about your every day busy life. Good weather. You can expect 300 days of sunshine each year. There are a number of places to explore in North Cyprus. The main towns are Kyrenia, Nicosia, Famagusta, Karpaz, and Lefke — with so much in between. If you hire a car, it will be easy to go wherever you wish to explore or there are buses that run to almost every corner of each town. All towns have their own unique setting with a wealth of history to explore. You can visit the markets, artisan shops, orange and lemon groves, castles, beaches, restaurants — the list goes on and on. Nicosia is the capital town of Cyprus where our modern IVF clinic is situated. You are welcome to stay in Nicosia, however Kyrenia is close by with a number of hotels and resorts to choose from. Since Kyrenia is on the coast, it is the preferred town to stay in when you come to North Cyprus. St Hilarian Castle is set on the mountainside and it is said to have been the inspiration for Walt Disney as a design for the castle in Snow White and the Seven Dwarfs. Kyrenia Harbour has a charming, calm, and soothing atmosphere. Filled with yachts and boats, restaurants and bars, you will have a lovely time and will be able to experience some local music. Kyrenia Castle is a short walk from the harbor, a well preserved historical building to explore. Alagadi Turtle Beach is a specially protected area in which you can visit and at the right time of year; you can watch the baby turtles hatch and make their way to the sea. Bellapais Monastery is a stunning piece of religious architecture for a fascinating historical exploration. There are different shops and markets to explore, restaurants to taste the local cuisine, and various beaches with water sports if you prefer outdoor activities. The airport in North Cyprus is Ercan airport (of Lefkoşa Airport it is sometimes called). There are no direct flights to North Cyprus. Any flight heading for Ercan will stop in Turkey first of all. Most of the time though your bags will transit through so changing planes is easy and there is normally no longer than a 2 hour stop-over. On some flights you may not need to change planes, as it simply stops to let people off and on. From Ercan, you have approximately a 40 minute car journey to your hotel. Airlines that fly to Ercan are Turkish Airlines, Pegasus, Atlas Global and Onur Air. You will find that Turkish Airlines fly from most world-wide destinations. Our patients also have the option to fly into the South of the Island to Larnaca Airport. You will likely be able to book a direct flight to Larnaca and from there you have approximately a 1.5 hour car journey to your hotel in the North. Schedule treatment when it's best suitable for you. Situated in the scenic Mediterranean town of Nicosia. Relax. Unwind.